Book Cabin Edgewood for a perfect 4th of July Getaway. Right now at the time of this posting, this cabin is available for the 4th of July holiday. Dates open are today through the 7th of July. This 2 bedroom, 1 bath cabin minutes from Sherando Lake has a maximum occupancy of 6 and features a deck on both the front and the back. The master has a King size bed and the second bedroom features two Queen beds. A great bonus comes with this cabin, it features it’s own washer and dryer, so you will not have to use the public facilities on site at Cabin Creekwood. Plan a fun trip with your friends and relax around the campfire at the cabin and cook outdoors on the charcoal grill. This cabin simply has it all. You can book your trip easily by clicking on this link. 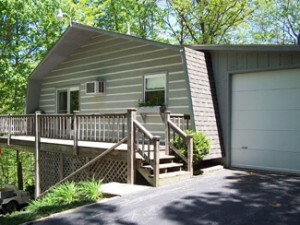 Cabin Creekwood’s Cabins in VA are located one miles from Sherando Lake in Virginia’s Shenandoah Valley. Guests delight in enjoying many outdoor activities such as hiking, mountain biking, horseback riding, fishing, canoeing, kayaking, golf, and many do not want to leave when their stay comes to an end. Get started planning your trip and celebrate America’s birthday by unwinding and spending time with the ones that you love.